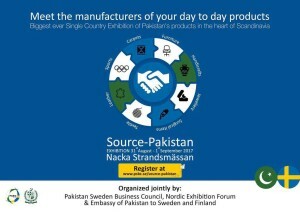 Embassy of Pakistan in Sweden together with Pakistan Sweden Business Council (PSBC) and Nordic Exhibition Forum is organizing a single country exhibition where Pakistani products like textile, carpets, handicrafts, furniture, jewellery, leather and sport items, surgical and beauty instruments and many others will be displayed. 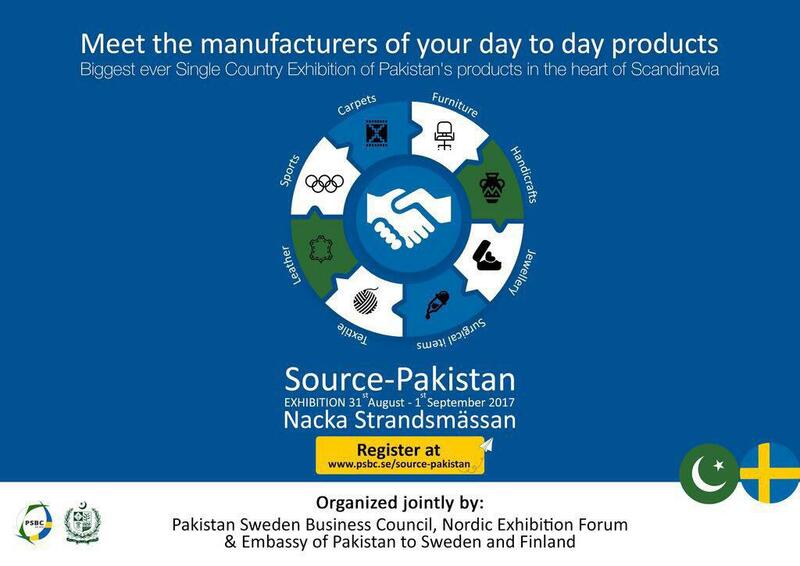 You are very welcome to join with free entry and experience a spirit of Pakistan in the capital of Nordics! All events and exhibitions in Sweden, click here for exhibition center Stockholmsmassan and here for exhibition center Kistamassan. 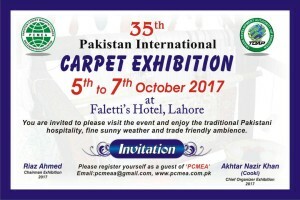 Pakistan Carpet Manufacturers and Exporters Association (PCMEA) in collaboration of Trade Development Authority of Pakistan (TDAP) is organizing 35th Pakistan International Carpets Exhibition from 5th to 7th October 2017 in Lahore. 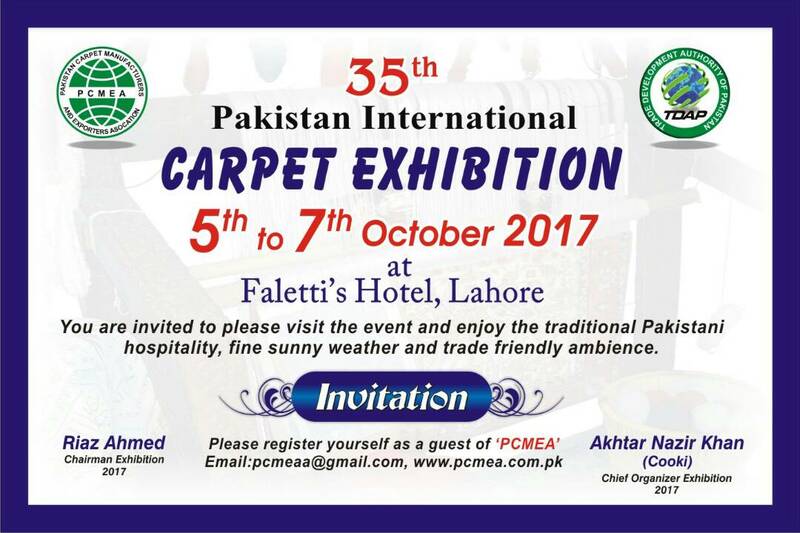 Carpets buyers are cordially invited to visit the event and choose from a wide range of new product lines, fresh designs & color combinations and huge stocks of Pakistan hand knotted carpets at the exhibition. Therefore, please make sure that PAKISTAN is on top of your priority list to visit this October where Red Carpet Reception awaits you. The Exhibition is being organized in collaboration with Trade Development Authority of Pakistan. As always, PCMEA intends to offer an attractive hospitality package including air ticket subsidy and five-star hotel accommodations to the distinguished buyers. Expo Pakistan is the biggest trade fair in Pakistan, showcasing the largest collection of Pakistan’s export merchandise and services. Foreign exhibitors, from neighboring countries, also use this platform to display their products. Held annually, the four-day Expo Pakistan has become the primary sourcing point for a large number of businesses worldwide, giving them a head start on the buying and ordering for coming seasons. First held in 2015, the success of last Expo Pakistan in 2015 was manifested by the participation of a large number of local and foreign buyers who settled business deals estimated at around US$ 1.2 billion. 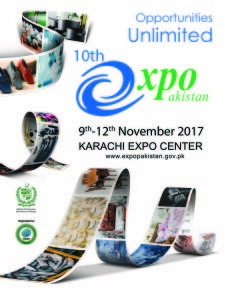 The Trade Development Authority of Pakistan invites you to the 10th Expo Pakistan to be held from 9th to 12th November 2017 at Karachi Expo Centre to become part of the largest ever display of Pakistan’s exportable merchandise and services. All events and exhibitions in Pakistan, click here.